Affordable sling keeps the arm comfortably positioned. 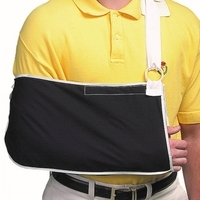 Supports the forearm to help relieve stress on the shoulder. 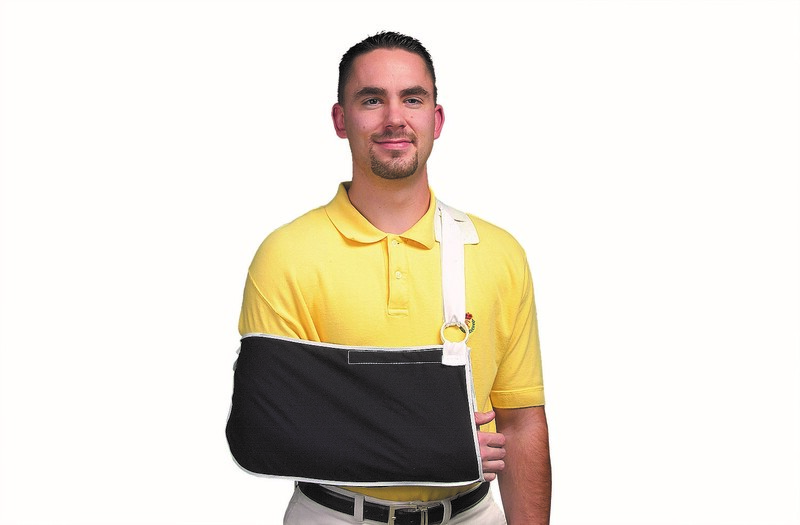 Ideal for casted forearms/wrists and for shoulder injuries. Poly/Cotton blend material with webbing straps and a foam-padded shoulder protector. Fastens with hook and loop. Metal buckle allows strap adjustment. Sling measures 18" long x 9" tall (46 x 23cm).